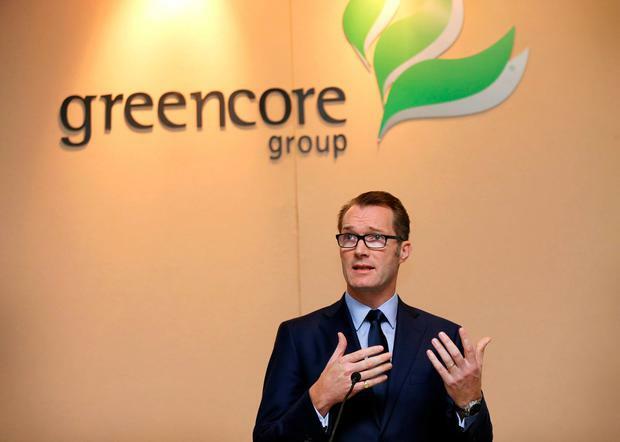 Greencore is ready to stockpile ingredients in the UK and change recipes in the event of a hard Brexit that could hit supply lines, according to UK managing director Peter Hayden. Group CEO Patrick Coveney has also told the Irish Independent that the world's biggest sandwich-maker might initiate some supply line changes before Christmas as uncertainty prevails about whether UK Prime Minister Theresa May will be able to get her Brexit plan past Parliament next week. Greencore has contracts with a number of major supermarket chains such as Marks & Spencer, and with other customers in the UK. It imports about 20pc of the raw materials it uses to make its products there. Those materials come from both the EU and further afield, said Mr Coveney, and include packaging items as well as ingredients such as lettuce, tomatoes and cucumber. "The focus area for us will be about securing the relatively small portion of the ingredients that we use that we get from outside the UK, in a no-deal scenario," said Mr Coveney, who is the brother of Tanaiste and Foreign Affairs Minister Simon Coveney. "We see the biggest risk area being fresh produce," said Mr Coveney. "A lot of the contingency planning processes ... are to manage our way through potential challenges around the availability of fresh produce." Greencore, whose primary geographic focus is now the UK after selling its US arm this year, makes about 1.5bn sandwiches and food-to-go items like salads every year. Mr Coveney said Greencore has a "very measured timetable" in terms of when it will make decisions regarding the implementation of alternative supply lines. "There will be some areas, frankly, where we choose to make some decisions to reduce risk this side of Christmas, but in others we'll make them closer to the time," he said. There have been dire predictions about the impact of a hard Brexit on the UK's economy. Mr Coveney said Greencore would be "resilient" in the face of an economic downturn, having endured such scenarios in the past. "We are concerned, but what we've tried to separate is the Greencore-specific impact from the overall economic impact," he said. "Based on history, these products are pretty resilient to economic circumstances." Andrew Woodcock Theresa May has accused the UK Labour Party of dragging its feet over cross-party Brexit talks as discussions resumed following an 11-day Easter break.